Visa is launching She’s Next, an effort to champion and empower women to grow their small businesses. The next phase of Visa’s multimillion-dollar marketing campaign, “Money is Changing,” will feature female business owners highlighting the practical steps they have taken to change the game and challenge existing taboos when it comes to money. Building on its millennial women focus, Visa will feature a diverse spectrum of women in the campaign. Female entrepreneurship continues a global upward trend, rising 10% since 2014 and closing the gender gap by 5%, according to the Global Entrepreneurship Research Association. In the past year, 163 million women were starting businesses across 74 economies worldwide, while 111 million were running established businesses. She’s Next will champion this growing trend with additional support from leading small-business advocates, including Square and Yelp. Visa also teamed up with Rebecca Minkoff and the Female Founder Collective, a network of female-owned businesses. The partnership will help build awareness of female entrepreneurs and invest in women across the socioeconomic spectrum around the globe, providing them with opportunities to build their businesses. 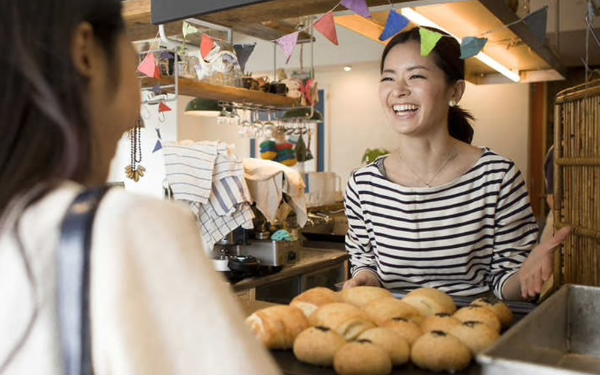 Over the course of 2019, Visa will create pop-up events around the world that offer a range of practical tools, resources and networking opportunities for female entrepreneurs. Beginning with an inaugural event in Atlanta on Jan. 30, alongside Super Bowl LIII in Atlanta, Visa will host a series of interactive workshops to tackle business challenges specific to each community. A similar event is planned for the FIFA Women’s World Cup France 2019. Nearly three quarters of women (73%) report that it was difficult to obtain the funding they needed to start their own business. In fact, six in ten (61%) self-funded their business. When asked to identify top workshop topics they would like to learn more about, respondents said improved social media and digital marketing skills to grow their businesses.